1Not available with special financing, lease and some other offers. See dealer for details. 2See dealer for details. 3Not available with special financing, lease and some other offers. See dealer for details. 4GENERAL MOTORS IS ANNOUNCING A PRIVATE OFFER TO CUSTOMERS WHO CURRENTLY LEASE A 2014 OR NEWER NON-GM (I.E., NON-BUICK, CADILLAC, CHEVROLET, GMC, HUMMER, OLDSMOBILE, PONTIAC OR SATURN) PASSENGER CAR OR TRUCK. CUSTOMERS WILL BE ELIGIBLE TO USE THIS OFFER TOWARDS THE PURCHASE OR LEASE OF ONE OF THE NEW AND UNUSED 2019 BLAZER, BOLT, CAMARO, SILVERADO 2500HD, SILVERADO 3500VOLT. 5THIS IS THE CHEVROLET CONQUEST INCENTIVE FOR CURRENT OWNERS/LESSEES OF A 2005 OR NEWER NON GM (I.E., NON-BUICK, CADILLAC, CHEVROLET, GMC, HUMMER, OLDSMOBILE, PONTIAC OR SATURN) PASSENGER CAR OR TRUCK WHO PURCHASE ONE OF THE ELIGIBLE NEW AND UNUSED 2019 BOLT OR COLORADO. SEE DEALER FOR DETAILS. 6Monthly payment is $13.89 for every $1,000 you finance. Example down payment: 11.2%. Must finance with GM Financial. Some customers may not qualify. Not available with lease and some other offers. Take new retail delivery by 4/30/2019. See dealer for details. 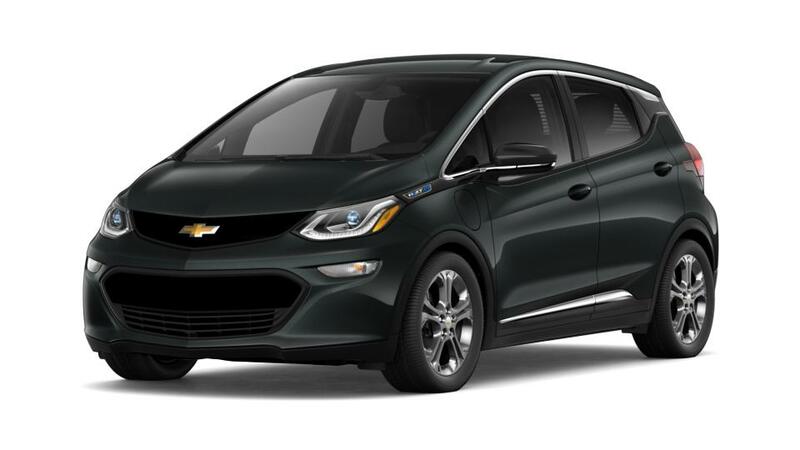 Check out the new Chevrolet Bolt for its elegant style, sophisticated interior and impressive looks. This crossover comes with an outstanding performance. The advanced technologies like 4G LTE Wi-Fi hotspot, phone integration and more helps you to stay connected and entertained throughout your journey. This vehicle cares for your safety; it comes with features like 10 airbags and high-strength steel frame to protect you during a crash. Drop by Bob Stall Chevrolet in La Mesa near San Diego and explore this marvelous vehicle.